The preferred style of shalwar has undergone a change. In place of the traditional shalwar, it is now the stylish tulip pants. Previously the women of Pakistan were happy with the generally acceptable simple shalwar and kameez. But now the likes have changed and in a couple of years there has developed an all-round liking for cigarette pants and chori pajama with long and short shirts. 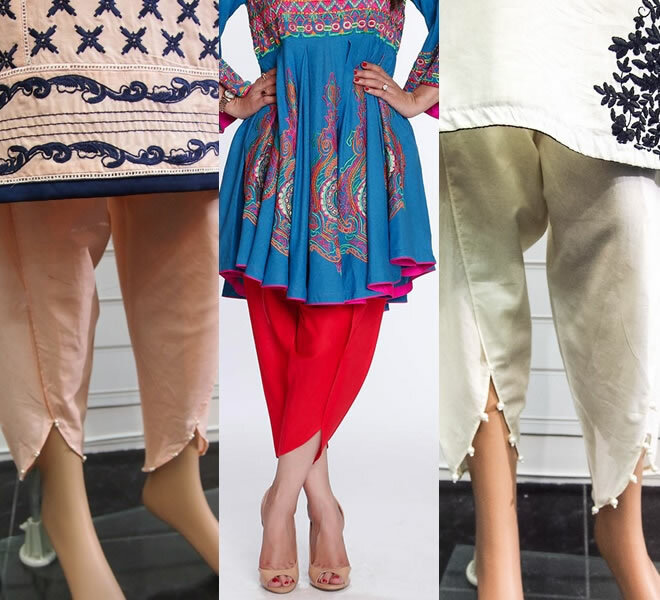 In the process the simple shalwar has disappeared and it is a nonexistent fashion. Fashion Designers with their creative touch have succeeded in introducing simple and embroidered pants for young girls and also roped in the women who used to be stuck to traditional and customary pakistani dresses styles.